Everyone who purchases a car, truck or SUV knows that it loses a huge chunk of its value the minute it rolls off the lot, but that doesn’t mean you don’t want to get the most out of your ride when the time comes to sell. To achieve that goal, you need to know what aftermarket buyers are looking for in vehicles. Reliability is always a must, and not surprisingly many models from Toyota show up on this list. The list also includes a lot of trucks and SUVs. You will be surprised, however, to find some sexier options out there, especially on the car market. 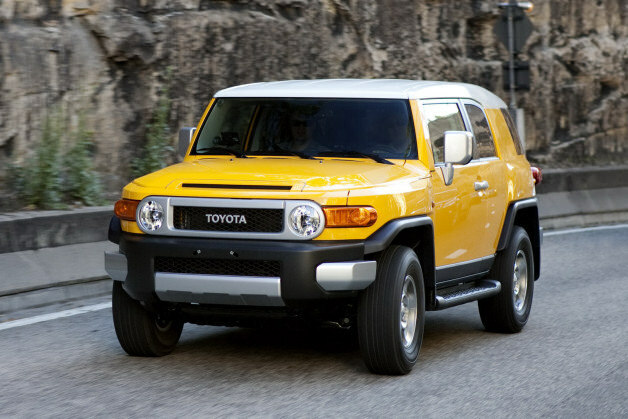 Meant to be a modernized version of the older Toyota Land Cruisers, the FJ is retains a lot of value while also bringing a lot of faults with it. It’s basically an off-road vehicle, but Toyota focused on styling it more than Jeep did with the Wrangler. While technically an SUV, the lack of cargo space means the term utility ought to be used lightly here. The FJ, however, has its strict adherents who adore its almost mountain goat tenacity in off-road settings, and that means the three-year resale value for some FJs goes as high as 91-percent of the original sticker price. It’s a vehicle with a very narrow purpose, however, and that makes it terrible for almost any other setting. For example, it has notoriously narrow windows and massive blind spots that will infuriate daily commuters who need to see around an expressway. Don’t worry about that factor. The truth is the fuel economy is so bad no one would ever commute in an FJ, but a lot of off-roaders will pay top dollar to acquire one used.